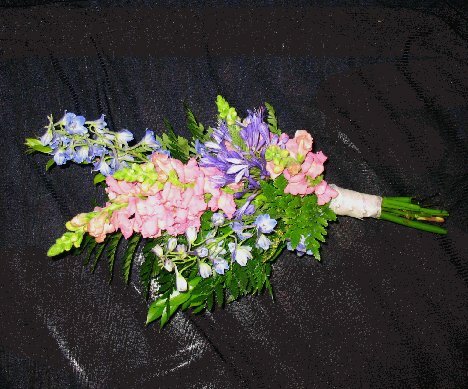 My hand tied bouquet is now finished. 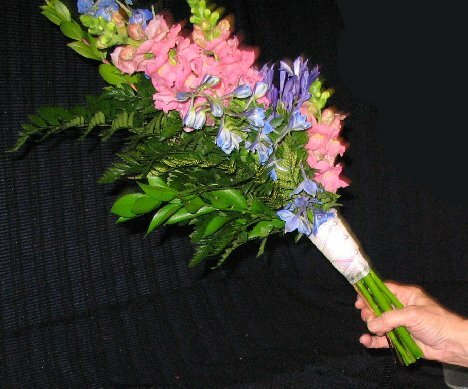 Store in a narrow vase with just and inch or two of water. Make sure the water level does not go up high enough to wet and dirty the ribbon. 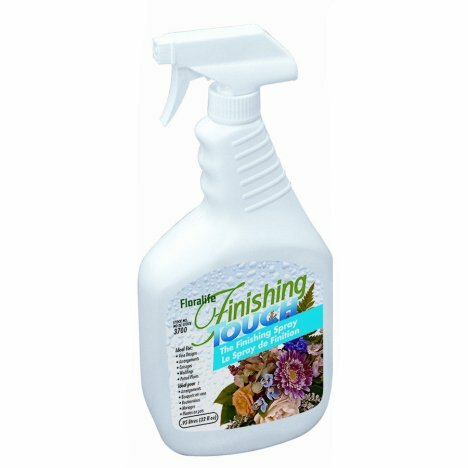 Finishing Touch is a flower sealant that I use on every one of my wedding designs. Home refrigerators and air conditioners are designed to pull moisture OUT of the air. Professional floral coolers put humidity INTO the air - up to 80 - 90 percent! Since we don't want moisture pull out of the flower petals, spraying the sealant on your flower designs will protect the petals, keeping them hydrated longer. 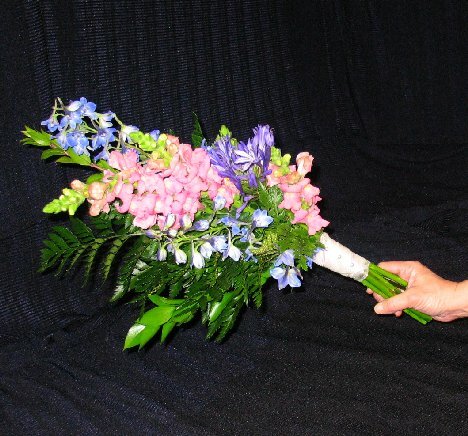 If possible, store your flowers in the refrigerator, overlaying gently with a plastic wrap to slow dehydration. 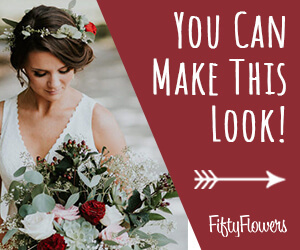 I have a lot of other step by step flower tutorials for bouquets, corsages, boutonnieres, church decorations and outdoor flowers. Check them out!